Perhaps I should have planned on sharing this book on a Monday, but sometimes our plans don’t work out the way we would like them to. So, I am coming to you on a Thursday with a wonderful book that will inspire your personal devotion to Our Blessed Mother and equip you with a myriad of ways to pray, honor, and celebrate her within your family. 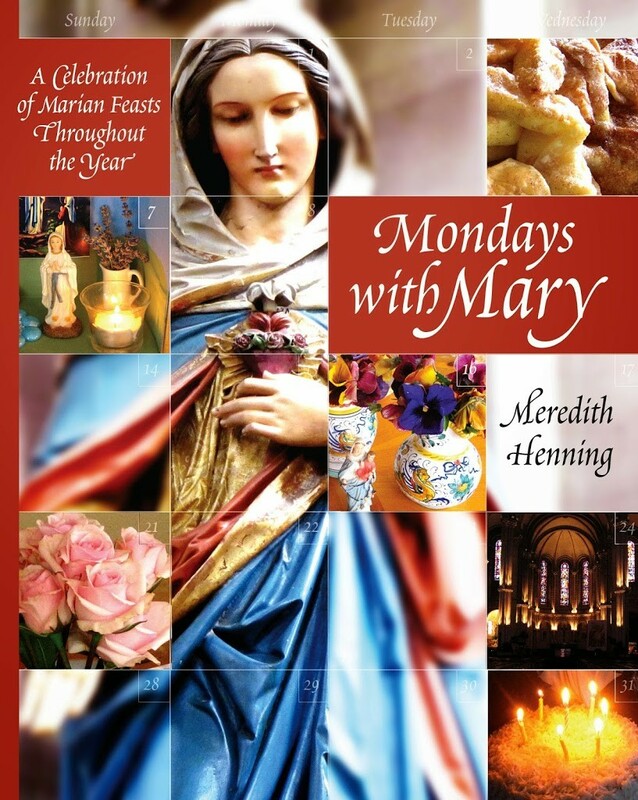 Mondays With Mary by Meredith Henning is my favorite go-to book for planning feast day celebrations. She wrote it based on how her family celebrates the liturgical year within their domestic church. She wanted to “instill our rich faith and most especially a faithful devotion to Our Blessed Mother,” and carving out “Mary” time provided a way for her to do that with her children. 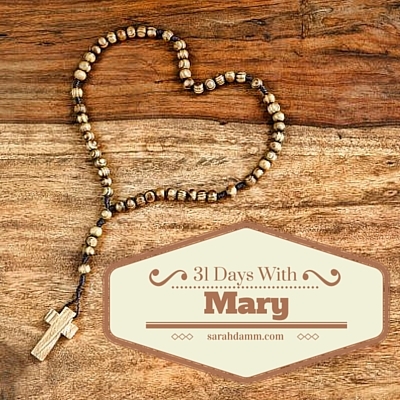 In Mondays With Mary, Meredith provides prayers, recipes, and craft ideas for 30 Marian feasts. Some feast days that are included are widely-known, such as the Assumption of Mary on Aug. 15. While others are less common, such as Our Lady Help of Christians on May 24. Meredith suggests three elements for any feast day celebration: space, recipes and activities—all of which can be as simple or as elaborate as you desire. While there are a variety of feast days from which to choose, I encourage those just beginning this devotional practice to begin slowly. Perhaps pick one feast day per season or per month as a starting point. These feast days are part of our liturgical calendar every year, so the ones you don’t celebrate this year will be waiting for you to celebrate next year. Also included in the book are Scripture and saint quotes, information from the Catechism, and wonderful conversation starters to engage the entire family. In addition, Meredith offers several appendices with recommended reading lists, a chronological list of feast days, Marian hymns, and more. If you want to begin adding feast day celebrations into your family’s routine but you are a bit overwhelmed with the particulars, Mondays With Mary would be a great addition to your spiritual library. It will be a resource to return to again and again, for your family’s faith enrichment and also for your own personal devotion to Our Lady. 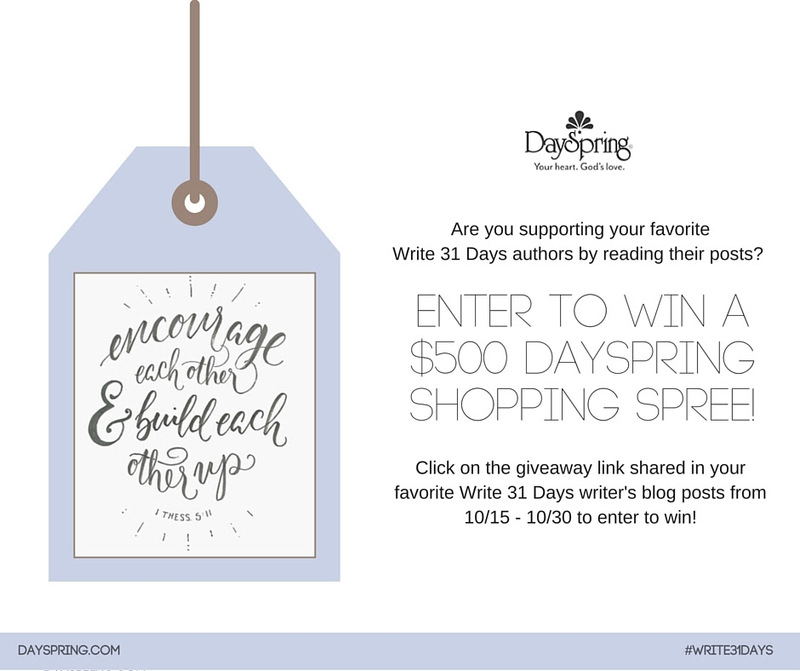 There is still time to enter the $500 DaySpring giveaway that is part of this 31-day writing challenge. Simply go HERE to enter! Beautiful Sarah, thank you so much for this lovely review and sharing with all your readers, it is much appreciated 🙂 God Bless You and your sweet family! !